Wow! I have to listen to that speech this week. I wonder if Carey is even aware that his speech was recorded and posted? I don't think Carey is even aware of his own zip code. Perhaps his partner has some expertise in that field. This continues to bother me as we focus on the corrupt behavior of individual sliders. Why does Kevin Randle get a free pass that absolves him from this sliders fiasco? 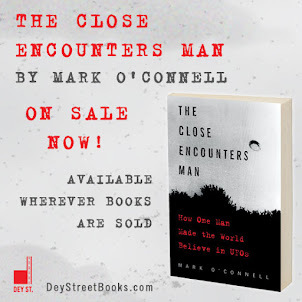 It's my understanding that he assembled this "Dream Team" of con men, frauds, and hucksters for an in-depth, cold case, forensic investigation of Roswell that would finally uncover the truth. No doubt he's a congenial guy who served honorably in the military in war time and is probably unconditionally beloved by family and friends . . . but he owns the responsibility (or blame) for putting together this ragtag group of miscreants who deliberately committed fraud. 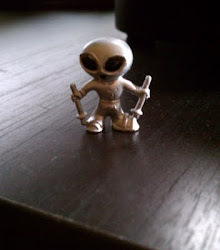 He presented them at the outset as a Dream Team of solid gold Roswell investigators, even though some in the field raised objections at that time about their individual ethics. He shouldn't be allowed to walk away from this totally unstained, don't you think? But, heck, maybe that's just my way of thinking. You raise an interesting point that I had almost forgotten. Randle has indeed been quick to banish the Slides, if not the Sliders themselves, to the trash heap. Although he played no discernable role in perpetuating the slides fiasco, your point is well taken. To this day I cannot understand him including Schmitt on this team. I thought he had also banished him to the trash heap years ago when he found out Schmitt was lying about his research, his background & even his employment. Yeah, Randle is kind of an enigma. I find it sad that ufology has devolved into personalities rather than hard research. Carey and Schmitt will say pretty much any lie in order to keep the money flowing. As long as there are Mulderites in this world, characters such as Schmitt, Carey, Moulton-Howe and Dolan have no worries about selling their wares. - Don Schmitt would be the Christian Laatner of this new fake Dream Team; A guy in over his (wigged) head, possessing dubious credentials and considered a pariah by even his own teammates. - Tom Carey would be the Magic Johnson here; A guy past his prime who should have retired years ago, but was invited to be a member simply because of his longevity. - Jaime Maussan would be the team's mascot; He actually looks like he's wearing a mascot suit. - Richard Dolan would be the team's cheerleader; Complete with pom poms and a team cheer - "Sliders Sliders, we will prevail!! Don Schmitt will deliver the mail!!". 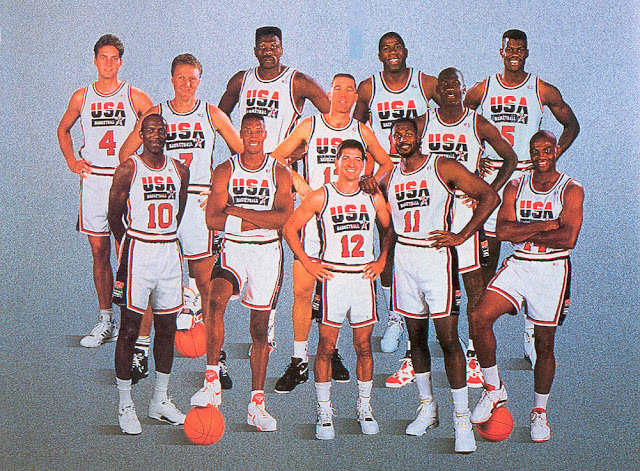 Nope, no Jordan's or Bird's on this particular "Dream Team".